I hope everyone had a terrific Thanksgiving! Nothing is better then spending time with loved ones and eating yourself into a coma! Ha! I wanted to pop in today to share a layout that was posted on the Hip Kit Club Facebook Forum earlier this week. The Christmas season officially starts the day after Thanksgiving in our household, so I thought I would share a Christmas theme layout today on my blog using the GORGEOUS 2016 November Kits & the December Documented Kit. If you’d like an up close look at these kits be sure to check out my unboxing video! A few Hip Kit Club Design Team Members, myself included, are collaborating each week for a sketch challenge that is posted exclusively in the Hip Kit Club Facebook Forum. The sketch will only be released in the HKC Facebook Forum and it is FREE! You do not have to be a subscriber to the Hip Kits to join the Facebook Forum. 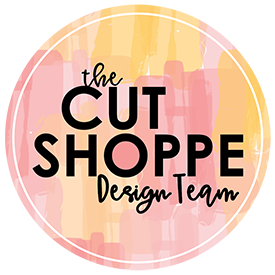 It’s just a fun place to find inspiration, share your crafty projects, and chat with other papercrafting loving people! I joined the Forum prior to subscribing and just loved the community there! I really encourage you to head over and check it out! This is the layout I created based off of this week’s sketch. I started with American Crafts textured white cardstock from the Cardstock Kit and I then layered a couple of the Crate Paper-Snow and Cocoa pattern papers from the Main Kit for my base. Once I had those papers arranged I moved on to the layers behind my photo. I used multiple pattern papers from the Main Kit including papers from Snow and Cocoa, exclusive papers designed by Kim Watson, and also a couple pieces of cardstock from the Cardstock Kit for my layers. The dark grey cardstock directly behind my photo was a little too dark so I grabbed the Foiled Again Dazzlerz Texture Paste from the Color Kit and painted over the cardstock just to lighten it up a bit. The shimmer that the Dazzlerz added was just an awesome bonus! Once I had my photo adhered to the layers I felt like I wanted a bit more color so I grabbed the Well Blue Me Down Coloringz Mist (that is also included in the Color Kit) and a piece of packaging to apply a watercolor look to the background. Then it was time to embellish! I grabbed the cute acetate deer from the Snow and Cocoa ephemera pack from the December Documented Kit and a snowman from the HKC exclusive puffy sticker sheet from the Embellishment Kit. I also used multiple die cuts from the exclusive ‘Tis The Season ephemera pack in the Main Kit! I wanted to add more snowflakes to the layers so I used one of the HKC exclusive cut files with white cardstock. The colors are just gorgeous in this kit! I still can’t get over how beautiful everything is! I then moved onto the strips at the top of the layout. I used multiple pattern papers from the Main Kit (including some of the manufacturer strips), ephemera pieces from the exclusive ephemera pack in the Main Kit, and applied the same Coloringz Mist from the Color Kit to match the mixed media by my photo. This photo was taken last year when I went into the school to have lunch with Aidan on my day off work. It was Christmas headgear day at school so the teachers and kids were all wearing either Santa hats or reindeer antlers, etc. I joined in the fun and wore a Santa hat to match Aidan and we snapped a selfie while we were sitting at the lunch table. Naturally my title for this layout is ‘Christmas Headgear’. I pulled the word Christmas from the exclusive ‘Tis The Season ephemera pack in the Main Kit and I used the beautiful glittery silver Thickers from the Embellishment Kit to make the word ‘Headgear’. I typed my journaling, using the We R Memory Keepers Typecast Typewriter, onto a piece of scrap paper and then cut the paper into strips and added it under my title. For final touches I added multiple sequins from the Embellishment Kit and black splatters using Heidi Swapp Color Shine from my stash. Here’s a process video showing how this all came together! Remember to head over to the HKC Facebook Forum to check out the other design team members creations and to play along! I would love to see what you create!